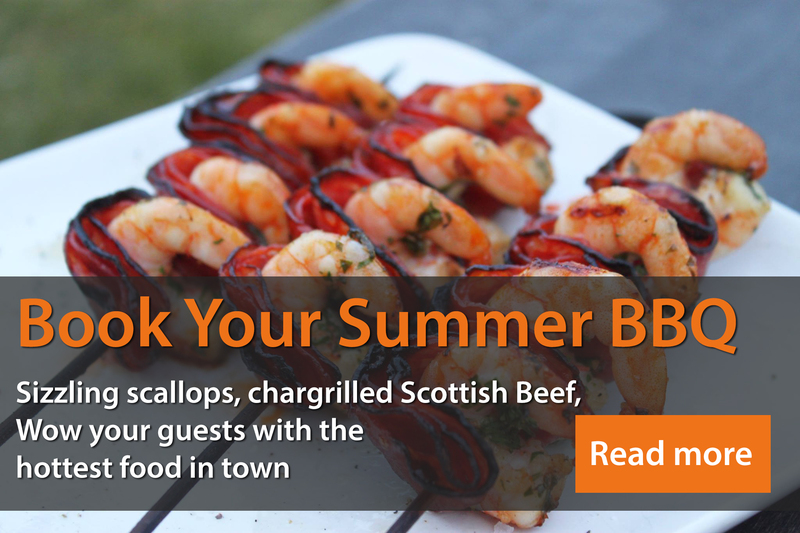 Further to our earlier post regarding an article that we contributed to in The Best Scottish Weddings magazine………..
“The beauty of bbq catering for a wedding meal is the sheer variety of food you can pack into your menu. Not just one ‘take it or leave it’ plate for your guests – you can literally have all your favourite foods sizzling joyously on the coals. Think succulent Tarbert Bay scallops, beautiful fillets of scottish beef, tender delicately spiced pork loin, whole seabream stuffed with herbs & lemon, lovely garlicky, buttery portobello mushrooms…..and your only part of the way there! He thought it useful to see the full quote. It reads well, he suggests. Indeed it does.